Paul . . . himself intended to go by land (Acts 20:13). When Paul’s companions set sail from Troas to go to Assos, Paul instead decided to make the journey by foot. The distance from Troas to Assos as the crow flies is only about 20 miles (32 km), but a route that avoids the intervening mountains would be more circuitous. 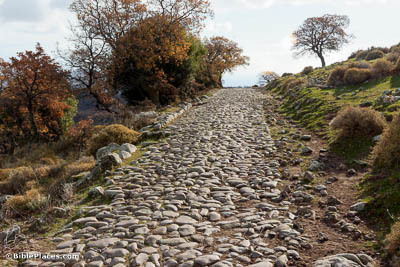 In his travels, Paul may well have walked along this very road, which dates to the Roman period. However, the paving stones seen here were probably laid later than the 1st century AD. Sailing from there, we arrived the following day off Chios (Acts 20:15). Chios is an island 4.3 miles (7 km) off the Anatolian coast. 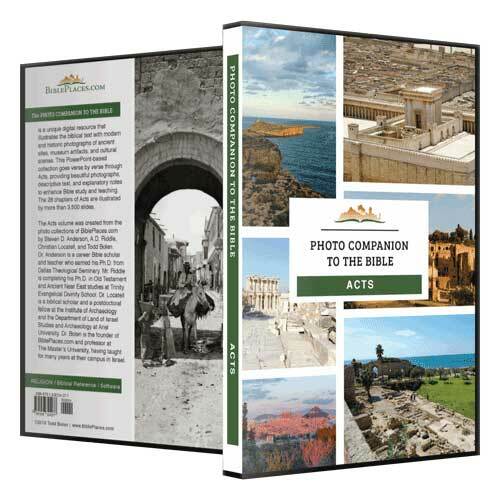 It served as a waypoint on Paul’s journey toward Jerusalem. 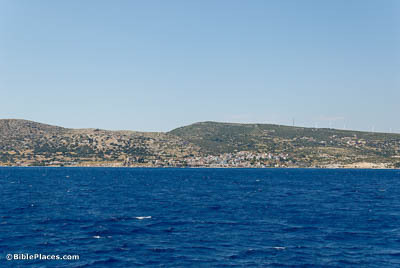 The voyage from Mytilene to Chios was about 65 miles (105 km). 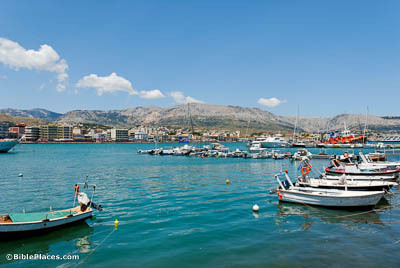 Chios is perhaps best known as the birthplace of Homer, author of the Iliad and the Odyssey. The next day we crossed over to Samos (Acts 20:15). The island of Samos is located approximately 30 miles (48 km) southwest of Ephesus. The voyage from Chios was approximately 80 miles (130 km). The voyage on the following day, to meet the Ephesian elders at Miletus, is approximately 20 miles (32 km). The famous philosopher Pythagoras was born and raised on this island. The following day we came to Miletus (Acts 20:15). Paul sailed past Ephesus to Miletus so as not to be delayed in his journey by a lengthy visit with the many people he knew in Ephesus. 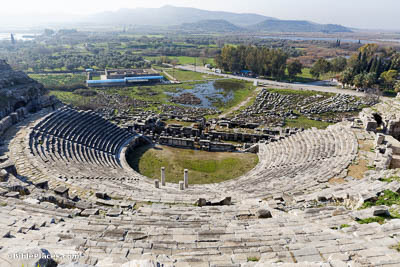 Located on the Aegean Coast of Asia Minor at the mouth of the Meander River, Miletus was an important port city. It was built on a 1.5-mile (2.5-km) long peninsula that jutted into a small Aegean bay. Today, Miletus is located about 5 miles (8 km) away from the Aegean Coast because the bay has been silted in by the Meander River. I did not shrink from . . . teaching you publicly, and from house to house (Acts 20:20). While at Miletus, Paul met with the Ephesian elders to say goodbye and talk about how he ministered to them in their own homes. 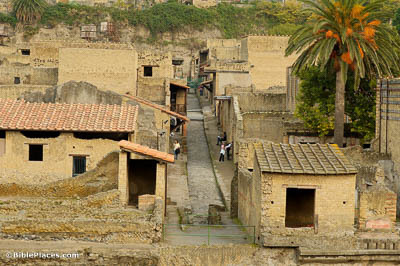 While most archaeological sites only preserve the foundations and lower portions of ancient houses, this residential street in Herculaneum was preserved in spectacular manner through the catastrophic eruption of Mount Vesuvius in AD 79. It offers a picture of what a typical Roman street—the sort that Paul ministered on—would have looked like.